= Lampsilis radiata (Gmelin, 1791). — Williams et al. (2017). + Lampsilis radiate [sic] luteola. — Kongim et al. (2015). = Lampsilis radiata. — Jones (2015). + Lampsilis siliquoidea (Barnes, 1823). — Krebs et al. (2013). = Lampsilis radiata. — Krebs et al. (2013). = Lampsilis radiata. — Haag (2012). = Lampsilis radiata radiata (Gmelin, 1791). — ITIS (2012). + Lampsilis fullerkati. — Haag (2012). + Lampsilis fullerkati R.I. Johnson, 1984. — ITIS (2012). 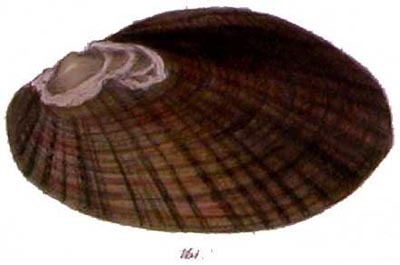 Gronovius, 1781, Zoophylacium Gronovianum: . Martini & Chemnitz, 1782, Conchyl. Cab. : 23, pl. 2, fig. 7. Gmelin, 1791, Syst. Nat. : 3220, sp. 9 [in part]. 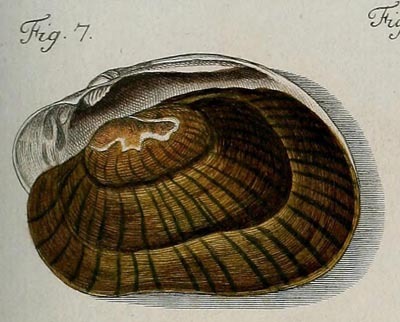 Unio lineata Bory de St. Vincent, 1827. Conrad, 1838, Monogr. Fam. Unionidae: 101, pl. 56, fig. 1. Goodrich, 1859, Ill. Nat. Hist. 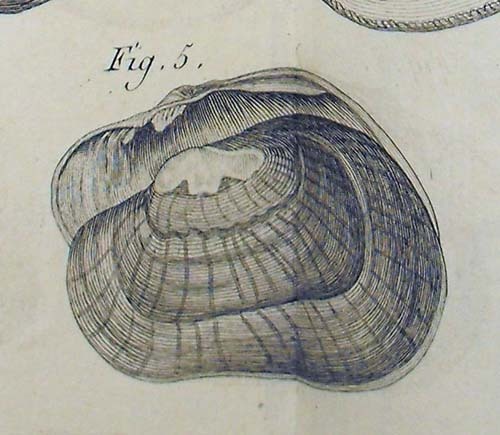 : 523, text fig..
‘Wood’ Reeve, 1865, Conch. Icon. : pl. 137, sp. 139. Reeve, 1865, Conch. Icon. : pl. 29, sp. 151. Reeve, 1865, Conch. Icon. : pl. 27, sp. 139. Simpson, 1900, Proc. U.S. Nat. Mus. : 536. Lea, 1868, Proc. Acad. Nat. Sci. : 163. Lea, 1872, Proc. Acad. Nat. Sci. : 156. Lea, 1874, Jour. Acad. Nat. Sci. : 34 , pl. 11, fig. 31. 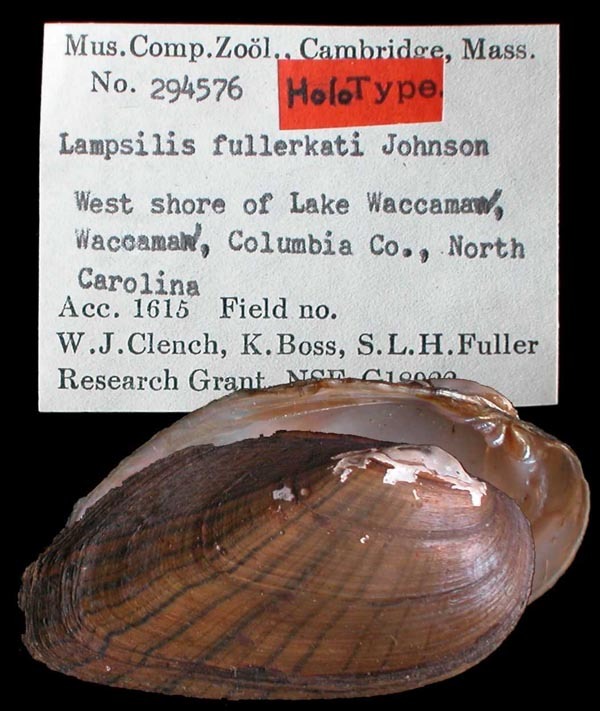 Type(s): HOLOTYPE USNM_85056, Yadkin R., near Salisbury, Rowan Co., N. Carolina. Gray, 1882, Trans. Ottawa Field Nat. Club: 53, pl.. 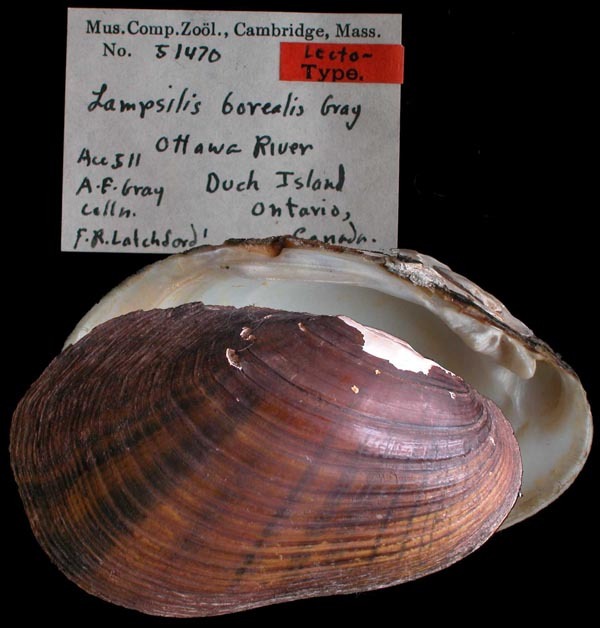 Type(s): LECTOTYPE MCZ_51470 (selected by R.I. Johnson, 1956), Ottawa River, Duck Island, Ontario, Canada. Paetel, 1890, Cat. Conch.-Samml. : 159. Frierson, 1927, Check List N. Amer. Naiades: 72, sp. 316a. 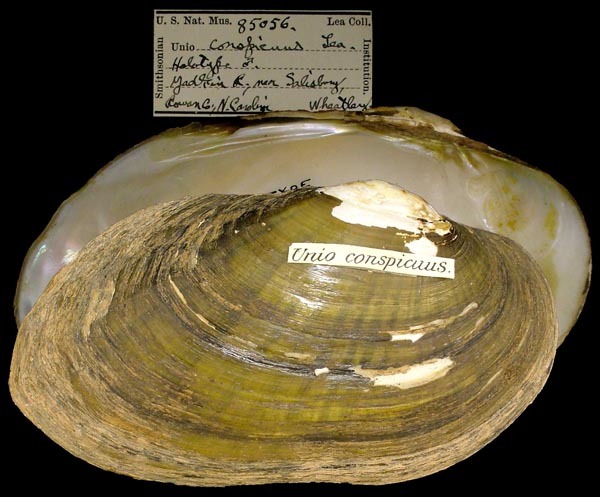 Lampsilis radiata oneidensis F.C. Baker, 1916. F.C. Baker, 1916, Nautilus: 74, pl. 2, figs. 1-4. F.C. Baker, 1918, Techn. Pub. Syracuse Univ., New York: 247, text fig.. 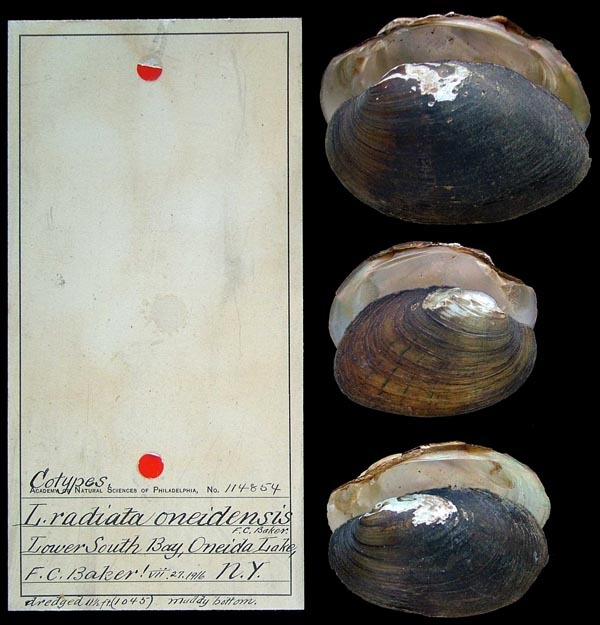 Type(s): SYNTYPES ANSP_114854, Lower South Bay, Oneida Lake, N.Y.
‘Lamarck’ Frierson, 1927, Check List N. Amer. Naiades: 72. Lampsilis radiata champlainensis Pilsbry, in coll. ANSP . Pilsbry, in coll. ANSP Of Authors. 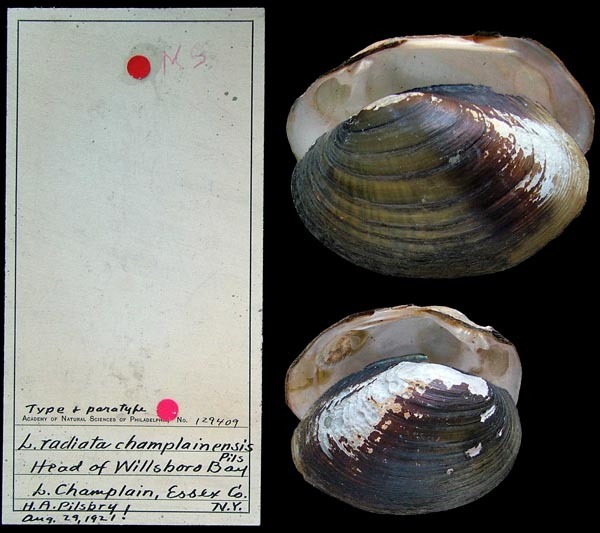 Type(s): MANUSCRIPT NAME ANSP_128409, head of Willsboro Bay, L. Champlain, Essex Co., N.Y.
Mya pictorum tenuis Chem .